There's a proverb in the beauty industry that hair-care trends follow skin-care trends, and now anti-aging and renewal has started turning up on shampoos, conditioners. Besides being trendy there is a real reason that hair-care companies are choosing to bring age-protective products to the market. We are tormenting our hair like never before with all the heat curling, drying, flattening, chemical treaments and styling aids we have today to create our hairstyles and combine that with chronological aging and increased environmental pollutants and we have a plague of thirsty, brittle, and worn "old " hair. 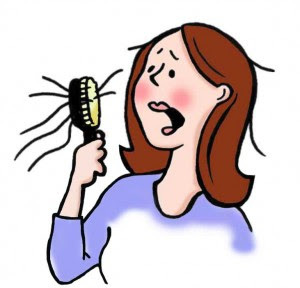 Fact; anyone older than 30 will at some point experience thinner hair”, experts say 50% of women lose their hair due to hormonal changes, other benefactors can be weight-loss, immune-system imbalances, trauma and stress, other 50% is due to over processing their hair with chemicals, men have their own issues of thinning. However age is not the only contributing factor to thinning hair, I have also seen hair color and chemical strengtheners destroy hair, and my motto is ‘hair can only take so much’. So how often should we color to preserve the quality of our hair? I don’t think thinning out hair is entirely based on the frequency of hair coloring but the products used, the peroxide volumes, incorrect applications, color on top of color every few weeks, and you will see a 20 year old with broken thinning hair. And it is the responsibility of the hairdresser to help and maintain healthy lustrous hair, with the correct approaches with tinting, highlighting, bleaching and or straightening, giving client’s efficient timelines for how often we get our color done and prescribing a homecare maintenance program to follow. A prime example of how hair thins out is; blonde hair going brown then wants blonde highlights then wants to go back blonde and then wants to be blonder, all this within 3 to 6 months and your hair will end up possibly 30 to 50% finer guaranteed. I cannot count how many times I have sent my clients home because they wanted quick spontaneous changes knowing that they and their hair would be unhappy or came in with ¼ inch roots and wanted highlights every few weeks, and if a hairdresser doesn’t have enough experience to know the possible results will most likely do it to please, or worse for ‘the cash’, and continuing with these types of visits will inevitably produce weaker breakable hair, results thinner finer hair. The trick at any age with hair is, prep, cleanse, nourish scalp and hair, cut regularly, color hair wisely and realistically, use organically derived products without harsh debilitating side-effects particularly in hair color, this is an easy and logical way to hold on to our hair longer.